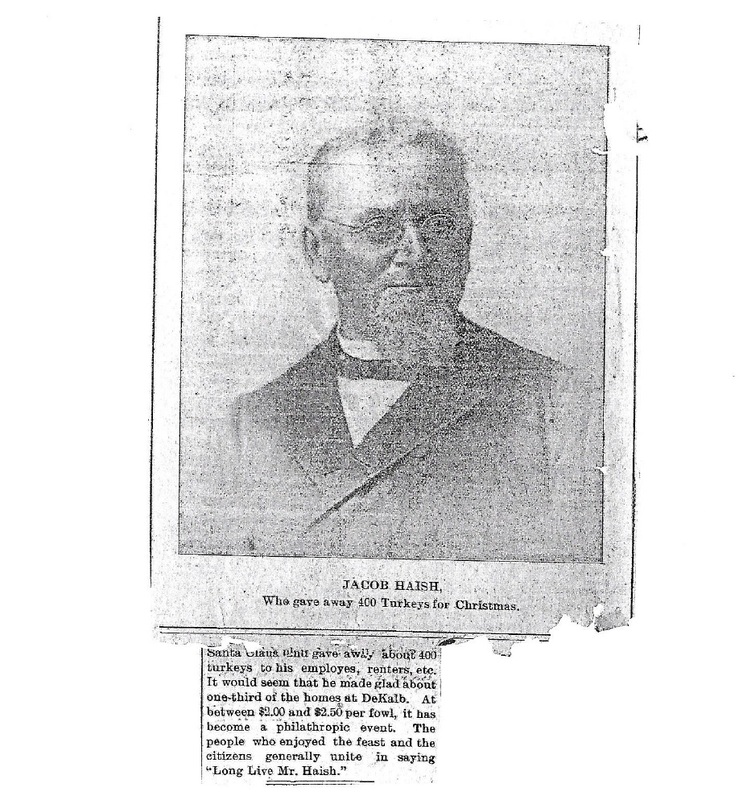 This newspaper article, only notated with the date of Dec. 28, 1905, and titled "Jacob Haish, Who gave away 400 Turkeys for Christmas," has been provided by the Joiner History Room. "Santa Claus ... gave away about 400 turkeys to his employees, renters, etc. It would seem that he made glad about one-third of the homes at DeKalb. At between $2.00 and $2.50 per fowl, it has become a [philanthropic] event. The people who enjoyed the feast and the citizens generally unite in saying "Long Live Mr. Haish."